Welcome to the Foundations for Algebra Parent Guide. The purpose of this guide is to assist you should your child need help with homework or the ideas in the course. We believe all students can be successful in mathematics as long as they are willing to work and ask for help when they need it. We encourage you to contact your child’s teacher if your student has additional questions that this guide does not answer. There will be some topics that your child understands quickly and some concepts that may take longer to master. The big ideas of the course take time to learn. This means that students are not necessarily expected to master a concept when it is first introduced. 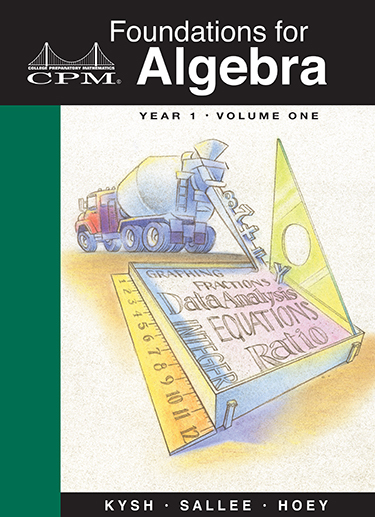 When a topic is first introduced in the textbook, there will be several problems to do for practice. Succeeding lessons and homework assignments will continue to practice the concept or skill over weeks and months so that mastery will develop over time.